The Malaysian Chess Festival, now in its 12th year, has always been the most eagerly awaited event in the region with the organisers managing to give every chess player something to look forward to and a good reasons to take part! 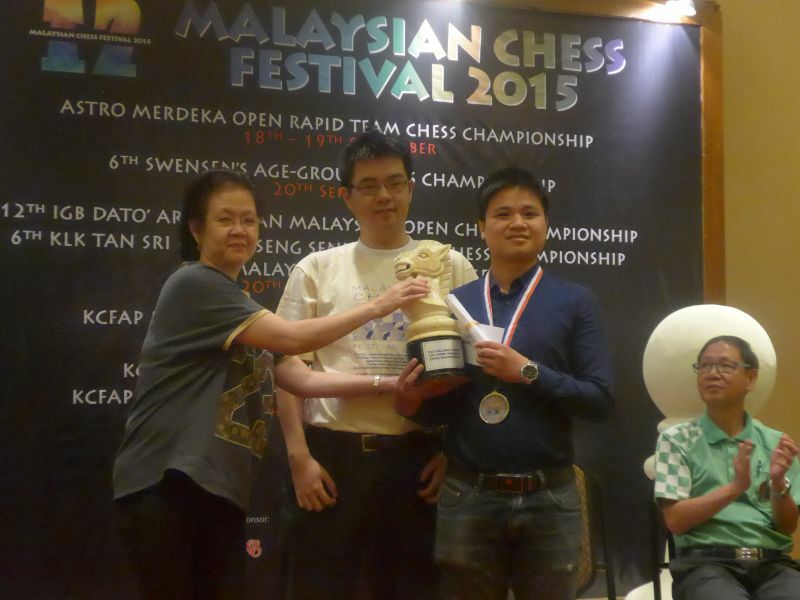 Concurrently held with the Malaysian Open is the KK Lee Loy Seng Seniors Championship which is eagerly looked forward to by the veterans and also the Malaysian Chess Challenge for the amateurs not strong enough for the Open. With the Kasparov Chess Foundation Asia-Pacific joining the list of sponsors, two blitz tournaments, the Merdeka Blitz held after the team competition and the Festival Blitz held after the Open ended as well as the Lim Chong Memorial Rapid on the rest day became possible. These greatly added to the buzz and ensured that the players could literally spend every day playing chess and surprisingly many did while some who could not play the other events could now proudly say they too were part of the region’s biggest celebration of chess. (Guests at the Closing Ceremony having mixed feelings at the tribute by Lim Chong’s colleague and also columnist at the Malay Mail – me, Peter Long (!) – and its parent New Straits Times. 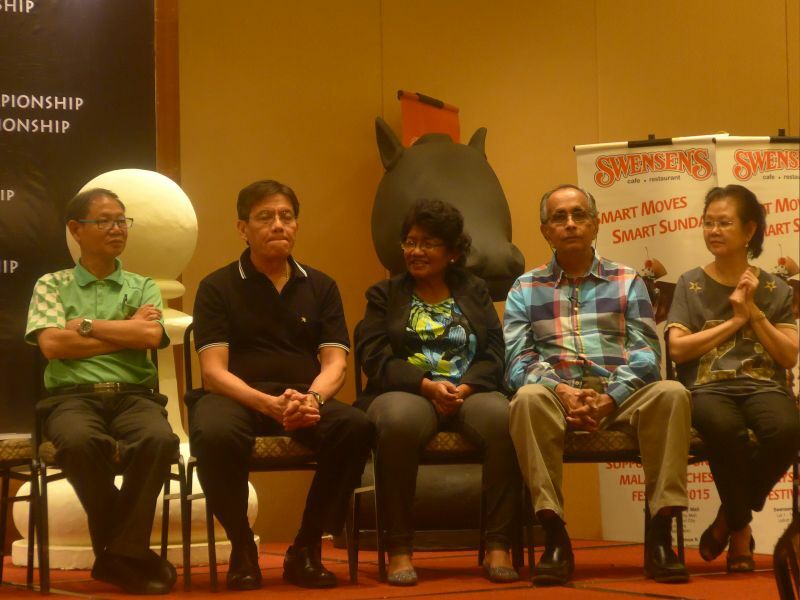 PC Shivadas, second front right flanked by his wife on his left and Lim Chong’s widow on his right, approved having the chess pages when he was Editor in Chief).